Bandsintown has integrated Instagram into its service to allow artists to promote gigs and sell tickets through the social media app. The concert discovery service adds Instagram to its list of integration, which also includes Apple Music, Snapchat and Facebook. 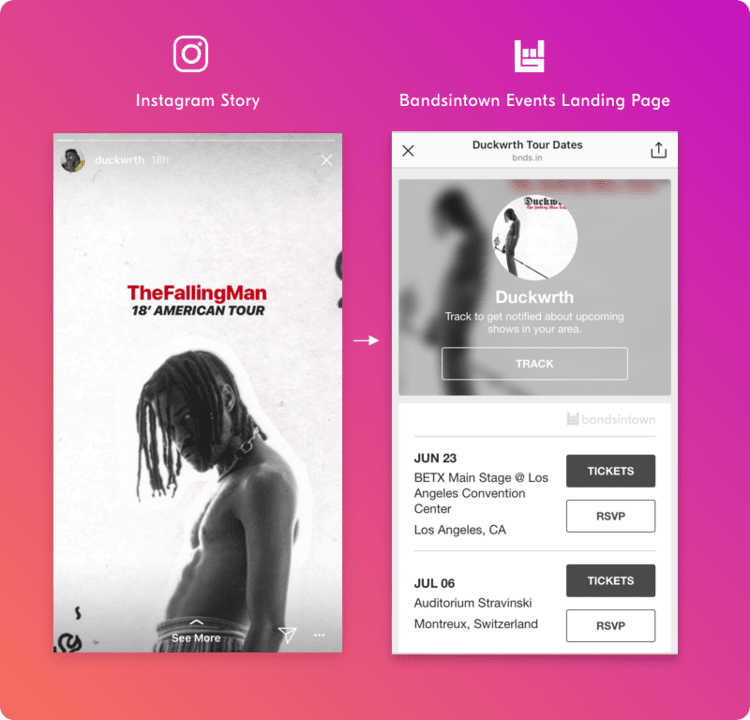 Fans can swipe up on an artist’s story to access tickets, pre-sales and further information about events. Meanwhile, artists can now monitor their social media analytics, such as clicks, conversations and RSVPs – via the Bandsintown Manager platform. Social media is becoming increasingly popular for promoting events and selling tickets. For example, in 2016, Live Nation started selling tickets via Snapchat first, and then debuted its Events channel on Instagram the same year. In addition, Eventbrite linked up with Instagram and provides a ‘get tickets’ button for business profiles.